Where do I find trans fat in ready-made food? How can I find alternative products? What about mixed products that have both naturally occurring and industrially produced trans fat such as meat pies and cream-filled desserts? Ask your supplier for an alternative that meets the 5% restriction and make the switch as soon as possible. 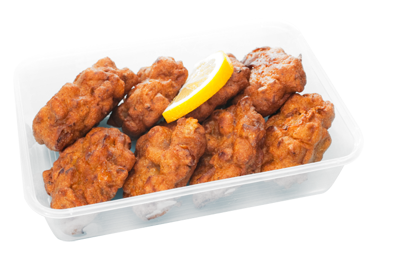 Manufacturers of ready-made and partially cooked food have been working hard to restrict industrially produced trans fat. Many familiar brands are already meeting the 5% trans fat restriction. The BC trans fat regulation does not restrict naturally occurring trans fat if the only source of trans fat in the food is from ruminant meat such as beef, sheep, lamb, goat, bison and deer, or from dairy products, such as milk, cream and butter. Ready-made foods that have a source of naturally occurring trans fat AND a source of industrially produced trans fat (such as a meat pie) are called "mixed products" and must meet the 5% trans fat restriction. An exception will be made for mixed products that exceed the 5% restriction due to a high amount of naturally occurring trans fat IF the manufacturer can prove that the industrially produced trans fat in the product meets the trans fat restrictions. This can be done by including documentation for each ingredient used in the mixed product that contains industrially produced trans fat (e.g. shortening used in the crust of a meat pie), along with documentation for the final product. 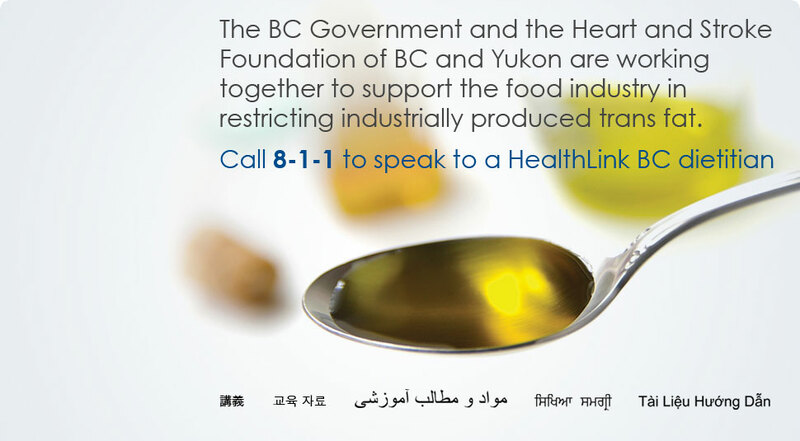 If you need telephone information, call 8-1-1 and ask to speak to a HealthLink BC dietitian. Source: The content on this page was adapted with permission from the New York City Trans Fat Help Center. This website is best viewed in Internet Explorer 7 or higher, or Mozilla Firefox 3.